We are excited to introduce our latest catalogue of experiences for 2017/18. You will now find 71 published experiences on our site and, in addition, unique experiences or itineraries can be tailored on request. The Art of Sparkling Experience at Josef Chromy, Tamar Valley: A behind the scenes tour of the Josef Chromy winery learning how traditional method Sparkling wine is made from base wine to corking and wiring. Guests will witness disgorging the sparkling wine to remove the yeast, then work with the winemaking team to choose and add the liquour, the final step in sparkling winemaking. Each participant will produce a bottle of sparkling to their own taste and conclude with a two-course lunch matched with wine. Most experiences based near Melbourne or Adelaide now offer the option to include private car or helicopter transfers to and from the winery. Ultimate Exploration of Margaret River: A five-day experience taking in the very best of the region, including accommodation for one night at COMO The Treasury in Perth, the 2016 Australian Gourmet Traveller Hotel of the Year, and three nights, dinner and breakfast at Cape Lodge in Margaret River. 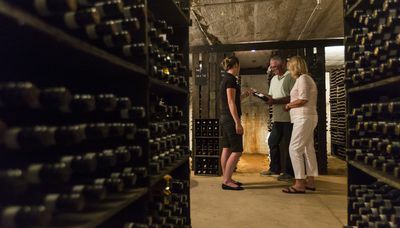 This fantastic itinerary includes guided tours, tastings, master classes and gourmet lunches at our three Margaret River wineries and finishes with a hike along a section of the Cape-to-Cape track. The UWEA group of wineries is now 17 strong, with representation in most of Australia’s renowned wine regions across five states: In NSW, Audrey Wilkinson in the Hunter Valley; in Victoria, De Bortoli in the Yarra Valley, Pizzini Wines and Brown Brothers in the King Valley, Montalto Vineyard & Olive Grove in the Mornington Peninsula, Tahbilk in Nagamabie Lakes and Fowles Wine in the Strathbogie Ranges; in South Australia, The Lane and Penfold’s Magill Estate in the Adelaide Hills, Jacob’s Creek Visitors Centre and Seppeltsfield in the Barossa Valley and d’Arenberg in McLaren Vale; in Tasmania, Moorilla Estate and Josef Chromy Wines; and, in WA, Leeuwin Estate, Vasse Felix and Voyager Estate in Margaret River. All UWEA members offer more than wine tastings and bottles of wine to purchase. Most offer a complete tourism experience with award-winning restaurants, fabulous places to stay, tours, wine education and in-depth behind-the-scenes winery experiences. 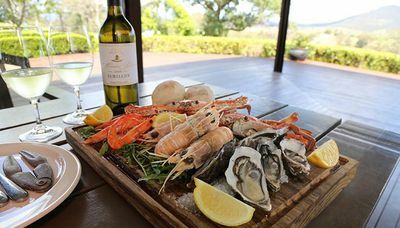 The Ultimate Epicurean Way – linking popular South Australian wine regions McLaren Vale, Adelaide Hills and the Barossa Valley. Our product offering is now stronger than ever and we are excited at the diversity of our experiences. 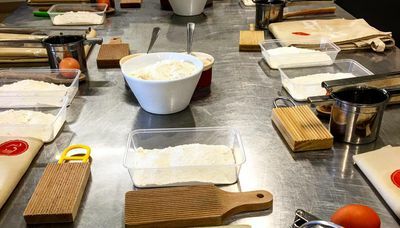 From cooking classes to private jets, there truly is a beyond the cellar door experience to suit every taste and budget.